"Once you've heard the Art Ensemble of Chicago it's hard not to appreciate the zaniness, sobriety and universality of their music. Once the music gets to you, you find yourself anxiously awaiting the next installment." With the release over the holidays of ECM's 21-CD box set Art Ensemble Of Chicago And Associated Ensembles and the notification of the passing of Joseph Jarman, a prominent member of the AEC, on January 9, 2019, the Art Ensemble of Chicago has been very much on my mind in recent days. While reflecting on the AEC, I remembered that John B. Litweiler had contributed another of his masterful interviews about the group to Downbeat, so I sought it out so to share it on these pages. What follows appeared in the magazine’s 1972 Music Annual under the title - The Art Ensemble of Chicago - There Won’t Be Anymore Music. As you read the piece, please keep in mind that it was written almost a half century ago. The Art Ensemble of Chicago began in fall of 1968, when the Roscoe Mitchell Ensemble (Lester Bowie, trumpet; Mitchell, alto sax, woodwinds; Malachi Favors, bass; all, percussion) added altoist-woodwind soloist Joseph Jarman. Since late 1961, Jarman and Mitchell had performed frequently together in several Chicago groups and had realized that their destinies paralleled. Over the years Jarman had sought a poised, lyrical, dramatic art. Mitchell, no less dramatic, consciously seated a more melodic, expressive and complexly internally structured music with various partners — Favors, Bowie, trombonist Lester Lashley, tenorist Maurice Mclntyre, drummer Philip Wilson — who shared his ideals. The parallel concepts of drama, the common philosophies of what jazz is and ought to be, and the years of rehearsing and sometimes performing together brought about the union of Jarman and the Mitchell group. Also known as "Joseph Jarman and Company" and "The Lester Bowie Quartet" on occasion, the Art Ensemble of Chicago performed usually in their hometown for small fees at concerts they set up themselves. In June 1969 they and their array of instruments sailed to France (Jarman: "On the S.S. United States — Zoom!"). Bowie and his family found a country estate near Paris, and for nearly two years the Art Ensemble lived there. In that time they recorded 11 LPs, three movie soundtracks, and performed in hundreds of concerts throughout France, Germany, Holland. Italy, Scandinavia. Along the way Mitchell, Jarman, Bowie and Favors added a young drummer, Don Moye (who came from Detroit). The Art Ensemble of Chicago established its reputation once and for all in Europe, winning a handful of awards from European societies and magazines, and from America's DownBeat. 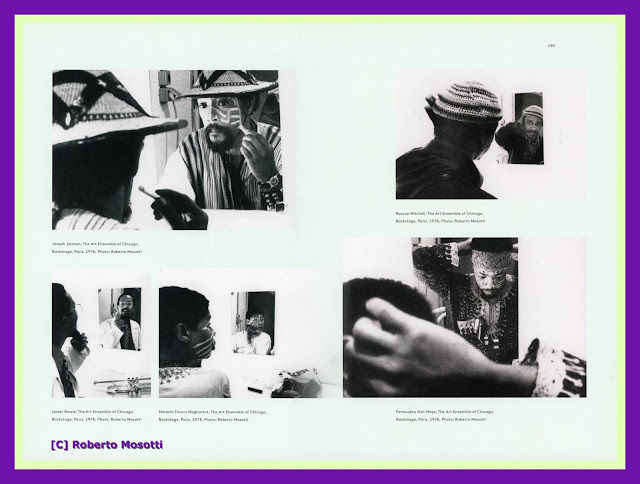 In order to return home in April of 1971, the Art Ensemble had to peddle masters of material they had recorded on their own initiative. Joseph Jarman: (Born Sept. 14, 1937, in Pine Bluff, Ark) moved to Chicago at an early age. I had always been interested in music, because my uncle was a jazz fan — Illinois Jacquet, Lester Young, Nat Cole, Basie, Ellington. World War II—they came out of the Army and brought all of that music. They were even into Charlie Parker in 1946. I went to DuSable (high school) about 1954 and started to study drums with (Captain) Walter Dyett. And then I didn't study them again. Then I went off into space. I went into the Army, and I had to get out of the line, so I bought a saxophone and got me a saxophone teacher and learned the fundamentals and auditioned for the Army band. I stayed there for about a year and a half. I started to study clarinet because they had too many saxophones. Then I got out of the Army and wandered around for a couple of years. I went to discover America. I had an alto saxophone, but I wasn't playing it. I went all over the United States and hung out in the Sierra mountains in northern Mexico. I sat in with jazz bands and blues bands as I went around. There's nothing but blues bands in the Southwest — it was Southwestern, Ornette Coleman blues, all rural — backbeat, simple structures. But I was going through a whole lot of changes, so I wasn't really dealing with my music. I didn't start doing my music until I came back to Chicago and started school. That's where I met Mitchell and Favors and (Anthony) Braxton: Wilson Junior College. I used to be into the Student Peace Union, that kind of thing, during those times. I've always been interested in politics, but now I'm more toward the left in a nationalistic way, black nationalism. But we, the Art Ensemble, we're not about politics. John Litweiler: (To Roscoe Mitchell.) Were you a good singer at the age of eight? Roscoe Mitchell: (Born Aug. 3, 1940, Chicago.) Certainly. I used to imitate all the dudes, Nat King Cole, Billy Eckstine, Louis Armstrong — I even imitated Mario Lanza. Jarman: You can hear him singing in A Jackson in Your House (BYG 529. 302, a French LP). Mitchell: I always wanted to be a musician, and I didn't want to be a singer. It wasn't rare to see jazz records and artists and stuff in the house when I was growing up. I was very young when I first heard Billie Holiday. My mother and uncle were into that kind of bag. I played baritone sax in the high school dance band, and I didn't really get into the alto until my senior year. Then I played baritone and alto in an Army band. There were a couple of places in Germany where we could play. I played a rock gig during the Fasching season—it's like Halloween, except it goes a week or two. Everybody is drinking and partying in the streets. 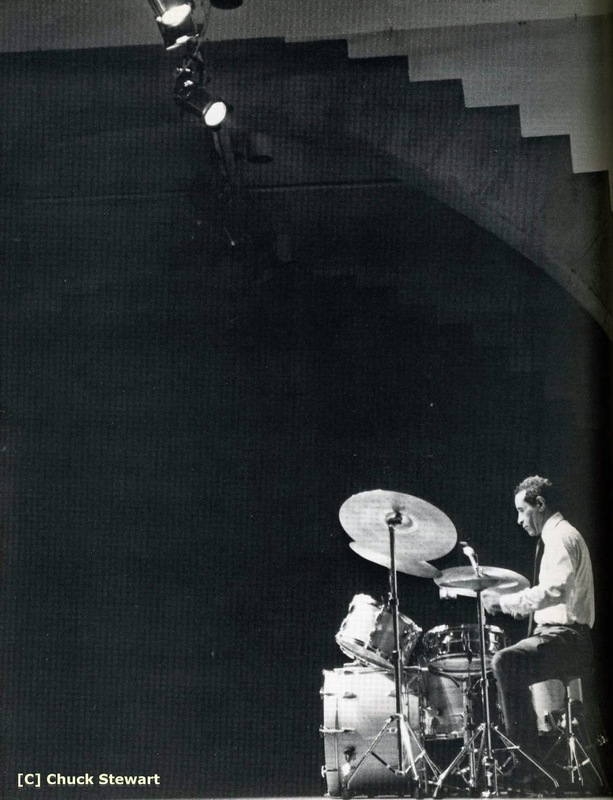 When I got out of the Army, in July of 1961, me and Joseph and (tenorist Henry) Threadgill and this fellow Richard Smith playing drums, Louis Hall, piano, we had a group for a long time. We were into Art Blakey charts and things like that. Wayne Shorter was my man — Joseph and them used to dig 'Trane, but I used to dig Wayne Shorter. Litweiler: Joseph Jarman, what were you playing like then? Mitchell: People didn't really listen to us much. Threadgill stopped playing for a while — oh, he played, but he was just playing in church. He was going through some changes. Favors and I were going to school together. I don't remember playing with another bass player, other than Maurice Chappelle and somebody else. Favors: When I first heard you, you were sounding like Bird. Jarman: Favors didn't even speak to us, because he was in the union. Brother Malachi Favors: (Born Aug. 22, 1937.) Into being in this universe some 43,000 years ago. Moved around and then was ordered to this planet Earth by the higher forces, Allah De Lawd Thank You Jesus Good God a Mighty, through the Precious Channels of Brother Isaac and Sister Maggie Mayfield Favors; of 10. Landed in Chicago by way of Lexington, Miss., Aug. 22—5:30 a.m. for the purpose of serving my duty as a Music Messenger... ALL PRAISE. That announcement just sums everything up, and anyone who wants to do an article on me, that's it. I started playing music just after I finished high school. My people were very religious people, and they kept me in church most of the time. They were very strict. (Favors' father is a pastor.) I considered that a form of brainwashing, because they had been taught that certain great black music was evil, wrong. I never had any aspirations of becoming a musician. I remember once at church, I was about 15. I went up and touched a bass, and it was so hard to pull the strings down, I said, "Ohh, I'll never do this." Music was just something that grabbed me all of a sudden. I started right off in music — I was playing professionally a month after I got my bass. When it grabbed me, I wasn't sincere — it was a thing to be seen; then it was, how much prestige can I get from the music? But then I got hooked, which was the primary object of the forces that grabbed me in the first place. Now I'm not up there playing for the girls. 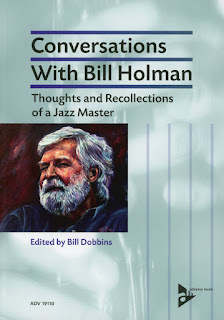 I initially was inspired by the bebops — Charlie Parker, Oscar Pettiford, all those people. I got to know Wilbur Ware after I got started; he was my main man. He had it, it was just inspirational. The first time I went to his house, he had a drummer down there and he asked me to play with this drummer. 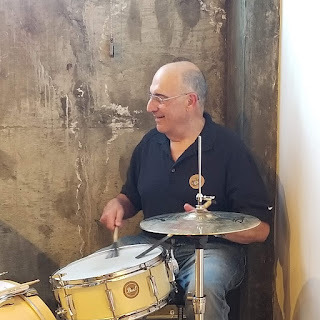 This was a very good drummer, and I got up and I just was not into it at all. Those were very depressing days. I guess it's like that with every musician, you know, coming up, he doesn't think he ever will play. Lester Bowie: (Born Oct. 11, 1941, Frederick, Md.) I first heard "Ambassador Satch" (Columbia CL-840, now out of print) I guess I was about 13. 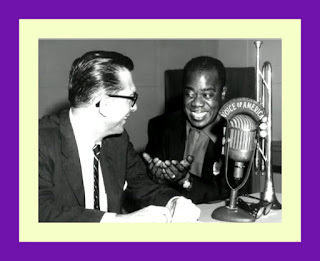 I read the story of how Louis Armstrong got with King Oliver, so I used to practice with my horn aiming out the window, hoping that Louis Armstrong would ride by and hear me and hire me to play with him. I turned professional when I was about 15. 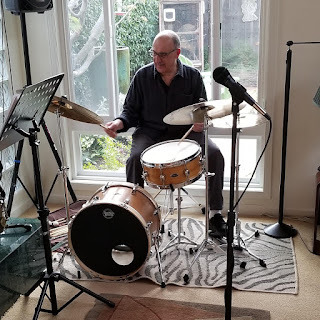 I had a band; it was a combination of maybe Dixieland and boogie-woogie and rhythm-and-blues types; the instrumentation was trumpet, alto, piano, sousaphone and an occasional drummer. We played a kind of square music there compared to bebop; a lot of real hepcats didn't dig us. I started hanging around this trumpet player named Bobby Danzier, who was big in St. Louis — he and Miles came up together, and he had the same kind of approach. But I still didn't want to be a musician — I'd say, I'm doing this because I'm young; when I'm older I'm going to be a lawyer or something. I was playing all through school, all through service (with the Air Force Police), with bands, blues bands. The thing that really sent me out there was Kenny Durham and Hank Mobley, the Jazz Messengers record with "Soft Wind," "Prince Albert," "Minor's Holiday." Kenny Dorham sounded so hip, and Bobby Danzier years before had been telling me about having context in your playing, and being soulful. I decided then that when I got out I wouldn't do anything but just play. [After the service, I] played around in St. Louis for another minute or so, and then went to school. Once I decided to deal music, that's about all I did. I don't think I ever bought a book. (Bowie spent a year at North Texas State, mostly performing throughout Texas with tenorists Fathead Newman, James Clay and roommate Billy Harper.) They play it up because it's the great institute of jazz, or some business. I ended up flunking out. After that, I figured, enough — the only good school for a musician is the road. (Bowie traveled the Midwest with a blues backup band.) We ended up getting stranded in Denver. We were supposed to work for Solomon Burke — anyway, we worked two weeks at this club, and then the union man came. You know how the unions are, like gangsters. Our cards weren't that straight, so we had to give him some money. Then he said, ‘Be out of town by the time sunrise comes,' so I went to California. Me and altoist Oliver Lake and drummer Philip Wilson (both St. Louis contemporaries of Bowie) hung out for a long time in Los Angeles. I met Fonty (popular singer Fontella Bass, now Mrs. Bowie) while I was with Oliver Sain, a St. Louis bandleader-producer. I started directing her music, I think it must have been late '65, then we moved to Chicago. (A friend took him to an Abrams rehearsal in June 1966.) I felt right immediately. Kind of like being at home. Richard had me take a solo, and as soon as we finished everybody came over, Roscoe and Joseph gave me their phone numbers right away, and then that same night Roscoe called amd wanted me to do a concert with him. We started rehearsing the next day. The years 1966 and '67 were crucial to these players. By fall 1966 Bowie's partner, Philip Wilson, had joined the Roscoe Mitchell Art Ensemble and proved to be the catalyst in the development of a highly sophisticated group identity. Mitchell had been experimenting with bells, whistles, harmonicas and gourds as rhythmic and primarily sonoric effects in his music. 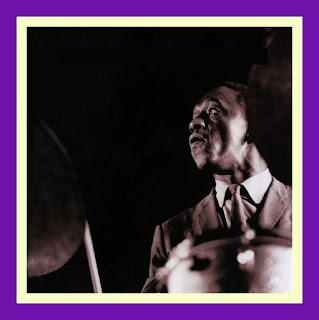 Wilson's dynamic and rhythmic sensitivity, his graceful skill and volatility, made him the perfect accompanist; during that period he was surely the leading drummer in the New Music. Bowie and Favors were inspired to add "little instruments" to their collections. The astonishing variations of themes, structures, sounds and contexts conceived by Mitchell in this period remain a landmark achievement. Wilson participated in the Mitchell group’s visuals. For example, one concert opened with a player, accompanied by Favors' banjo, fox-trotting with a huge Raggedy Ann doll, followed by an angry, shotgun-toting Wilson. Another found a Wilson mallet applied to cymbals, snares and Favors' head, until the bassist collapsed in a mock faint. Two LPs made a year apart without Wilson demonstrate how the Mitchell group's music grew during Wilson's nine-month tenure. The exploratory, intense Sound (Delmark 9408) is a bit cautious with the unconventional instruments, while Lester Bowie—Numbers 1 & 2 (Nessa 1) from August 1967 was confident in its highly detailed group improvisation structures and by now beautifully conceived flow of sound. But a month earlier Wilson had abandoned jazz almost completely; since then he has had a successful career in rock 'n' roll. Bowie: When you take an important part out, the music has to make compensations. It was more of a challenge without him. In the next concert we had a bit where the telephone rang and we answered and said. "Philip's not here." It was a drag to lose him, but things still go on. We added a lot; the instruments started building up. We used to have just a little bit, and now we have a whole housefull. Mitchell: I felt that the music was in a very sensitive period, and most of the drummers I was digging just weren't melodic enough to be dealing what we were dealing. Bowie: With Roscoe. there was no limitation about what you could deal from. You wouldn't have to play something melodic all the time, or something fast all the time. It was a combination of any kind of way you could do it. It was the only group I had seen that I could do anything I wanted without feeling self-conscious. Jarman had acquired a youthful quartet (Christopher Gaddy, piano; Charles Clark, bass; Thurman Barker, drums) which had achieved a range of conscious romanticism quite unique and marvelous in free jazz, based in large degree on Gaddy's original harmonic relationships. Jarman's personal accomplishments were twofold: as composer he scored successfully, brilliantly in an extended-work idiom (most notably in Causes II and Winter Playground 1965 with a large group — among free jazzmen only Ornette Coleman has approached Jarman's success within near-classical forms), and as alto saxophonist he offered an idealized style of astonishing virtuosity, lyric sensitivity and often expressive wit. Like Mitchell, Jarman had acquired "little instruments," though Jarman's presentation was simpler and more formularized. Throughout the years there were flamboyant multi-media Jarman works, with dancers, poets, actors, even films. In summer 1967 Gaddy was hospitalized for a heart ailment, and a doctor warned him against "music and other strenuous exercise." Gaddy died the following March. The prodigious Charles Clark was a near virtuoso, basically bearing Mingus' principles of creation into free jazz; as Terry Martin wrote: "His solos... can also attain an almost unequalled emotional intensity for this instrument." My own introduction to the variety and wonder of Chicago Civic Symphony immediately recall that awe. He left Jarman in late 1968 to work with Chicago's Civic Symphony. His April 1969 death was a shocking blow. Clark was only 24. The Chicago Civic Symphony immediately inaugurated a Charles Clark Memorial Scholarship for young musicians. By autumn 1968 the Roscoe Mitchell Art Ensemble was in a state of musical and professional flux. Jarman joined at this time. Jarman: When Christopher and Charles vanished. I went through a very emotional thing. It really wiped me away, and it was a very heavy emotional thing. I mean, I felt and they felt that many of our tenets were common about what music is; they were the only musicians around. Although Thurman (Barker) was still on the scene, we weren't strong enough to make a thing, because of what we emotionally and psychologically put into the music with Christopher and Charles. So Lester and Malachi and Roscoe saw the state I was in. and they knew I was going to just flip on out, so they hit on me to play a concert. I played it, and it was very good, so then there was another concert and a couple other concerts. Finally we realized that we all had this vital thing in common. Litweiler: Why did the musicians move to France? Mitchell: We always felt we wanted to spread the music out. I mean, me myself; I don't want to sit in one place all the time. You can call it a missionary thing, if you want. Favors: I went because the group went. I really didn't want to go, but I wanted to stay with the Art Ensemble. I was overruled. I felt that it might have been a little more difficult but that we could have made it here. Going to Europe still is not a gas to me. Bowie: We were always interested in reaching out to more and more people, getting the AACM's name out there. For years before, we had traveled more than anyone else here (in their Chicago years they worked briefly in New York, San Francisco, Detroit, Toronto. St. Louis). The only other place to go was to Europe. We had to live, and we wanted to live by playing music. We weren't working that much around here. We just left. We worked maybe the second day we were there, at a place called the Lucienaire, a small theater. Immediately we got a lot of attention — like, L'Express, that's like Time magazine, and Paris-Match, all the papers were immediately interested. The next week we did a recording. We used the Lucienaire for a base about three weeks, maybe, and the people would come from all over. Some would say, "Come to here and do a concert," and we'd go there and return to the Lucienaire. We dealt from there. We did 35 concerts in 1970 for the French Ministry of Culture. Every little town, could be a town of 50,000 people, they've got a big opera house somewhere where they bring in different arts, and they were interested in our music, along with symphony orchestras, ballets, anything. And black music, too. France is just about the most advanced country for the music that I can think of. Jarman: One of the important things the European experience did was to open my eyes up to a broader world. Being exposed to and in the midst of other cultures and other thoughts and other musics allowed a perspective on myself and my society that I never would have realised before. Meeting, for example, African musicians and their attitudes about music. Bowie: We played all over Europe. Our situation in Europe was completely unique among groups; the way we carried ourselves, the way we conducted our business. Most cats were in the regular jazz thing: you come, get a hotel room, and blah blah blah. But we had children, a dog; we lived in the country. It was unusual because most of the jazz cats were sitting around Paris, and we had a nice big estate, cherry trees and apple trees, ha... I was leading up to how we traveled: we had equipment; as we traveled, instead of squandering our money, we would collectively get together and buy things that the group needed— instruments and equipment. We had a Volkswagen, and we bought two more trucks over there, and this let us be mobile. No other group over there had any kind of mobility. We could travel anywhere, and this is mostly, I think, the reason we were so successful. We could be hired for Germany; all we had to do was pack and come over, whereas to a lot of groups it would have meant trains and planes. We spent the whole summer of 1970 just traveling. We did radio and TV concerts all over. Radio and TV over there is all state-owned, so there was always somebody who worked on the station and could get us a job doing a program. In France alone we did about six TV shows and about six or eight radio concerts. Some were live, like from Chateauvallon; it was an arts festival, but the show was just us. They take the music much more seriously than they do over here. Jarman: Of course, you know how Don Moye got with the group. Favors: One Saturday night we were doing a gig at the American Center for Students in Arts in Paris. I saw this cat with two conga drums, and I said, "This cat's from Africa" — the African cats were on opposite us, you know. So he came over and just set his drums up. I said, "Somebody bring me a soda" — he said, "Yeah, bring me one, too." Then we heard him play, and we said, "Hey, this cat's bad, ain't he." Then he was playing with Steve Lacy, and I went down and saw him playing trap drums. Don Moye: (Born May 23, 1946, Rochester, M.Y.) 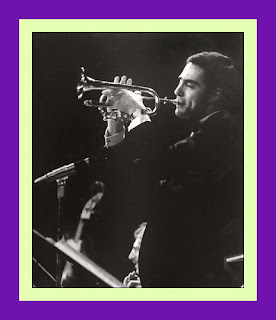 I was going to Wayne State University in Detroit, '66, '65.I was playing with Detroit Free Jazz; we were just young guys. I took some percussion classes, but I wasn't a music major. Those music schools, whew. I used to go over there, and nobody even looked like they were into anything. I couldn't even find anybody to play with, hardly, in that music department. But there were plenty musicians around Detroit. I used to go over to (trumpeter) Charles Moore's house, he used to show me a whole lot of stuff. Everybody used to go over there to see what was happening. I met Jarman in Detroit, at the Artists' Workshop. I also worked on Guerilla (published by Artist Workshop Affiliates) — I was circulation manager on that. That was a good magazine. (Moye was in the Artists' Workshop the evening of the famous mass arrests.) Everybody who got took in spent their little time in jail. Just a plumb outrageous number. 54 or 60. They just wanted to put John Sinclair out of the picture... I was kind of disillusioned with the Detroit situation, because the whole musical direction was changing. They were going more heavily into the rock thing. 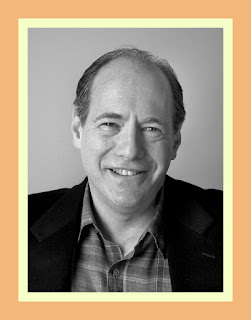 By that time Charles Moore and all the cats had disappeared, so there really wasn't anybody on the scene for inspiration. We (Detroit Free Jazz, a quartet) just went out to Europe — we got it together when we got there. We went to Copenhagen first; we got our first gig in Switzerland. We arrived in May '68, and by June we were playing all over... A gig fell through in Milano, Italy, so we went to Yugoslavia to see what was happening. We were musicians, so they probably figured we were pretty harmless. But we knew they were following us the whole time. At the end, the sequence of events was, I recognized this cat on numerous occasions. Litweiler: He never spoke to you? Moye: Naw, there wasn't too much to say. If his job is to follow you. he's going to follow you. They watch Americans. Plus, it was the ninth Annual Communist Convention or something — all these big, wheels in town. There were all these police and soldiers around everywhere. (This was in the winter of 1968-'69.) It was in Tangiers that we got tired of cops, again. Randy Weston got us out of the country. The Moroccan cats, they're mean ones, and if they want to hold you. they'll just hold you. We were all on the boat when they picked one of the cats and said, "No, you can't go." They put him right back on shore. Randy Weston went to these heads of, ah, they were high up in the structure, and had them put him back on the boat. It was weird. Move: He's one of those prolific cats. When he was in Italy, he was doing a lot of writing — and a lot of starving, I imagine. We didn't work but three concerts in four months, and he was there two years before that ... I was over there two years and 11 months. Bowie: We had one session where we called in the strings from the Paris Opera. Roscoe had written the string music. They were used to playing the regular whole notes and stuff. They got there and could not play it. We had to cancel that session. Then we got the string players from the Paris Conservatory. Well, they didn't smoke it, but they played it. They were younger; the avant-garde string players, you know. That was really a funny day when those cats couldn't play that music. Jarman: Both Mitchell and I took compositions to the Baden-Baden recording. They required the musicians to use some musical skills, you know — like reading notes off the page. And these great European musicians, they say, "Oh, that's difficult," so we couldn't deal our compositions. We tried to rehearse, and they were not capable of reading the music. We just put it in our briefcases until we could get to Chicago and struggle through it with the AACM big band. There ain't no European jazz musicians, unfortunately. If you check their music and check them, you'll find their roots are right here. You'll find they're copying the best black styles they can. They can get to certain levels of things, as far as mechanics are concerned, but the innate core is beyond them, and they never will be able to grasp it. Unfortunately. They may be able to get the meat, but not the bone the meat is on. Black music just contains properties that their heritage and culture does not have! Favors: People over there beat us out of all our money; they haven't paid us yet for what we've done. Why do you think we're poor now? If you make movies and records, you should have money. These people haven't even paid us our royalties. We're members of this organization culled SACEM — it handles all the affairs of artists, period. It's supposed to be much better than BMI; in fact, Johnny Griffin swears by it. SACEM tells us, "Well, you'll get your money here." then they say. "Well, the money is here," but we never get it. There's always a later date. It's a worldwide organization; they have a branch here, but this branch tells us that we have to collect from Paris. We had a contract with BYG. they were supposed to buy us a Volkswagen bus. We never got that. Jarman: Racism in Europe is just as bad as it is here. Bowie: Oh, yes, yes, yes, yes. That is the home; the original racists came from Europe. My personal feeling is that the reason more Europeans are open to black music is that they don't have that large black population to contend with. Art is enlightenment for people. In the States, you have millions of blacks, so the Man isn't too interested in promoting black art because he's got that lower-class population that may learn something. In Europe they don't have any fear of anything like that. Favors: In France they don't have black people to worry about like they do here. Consequently they go all out. They sent me a statement — I'm not even a citizen — asking me if I needed any assistance. That statement would have given me the right to go to a doctor and everything else — that's right! And over here they're just killing people about this little money they're giving them: it's a big thing because you're getting a few pennies from the government, and it's only because you're black. If they didn't have black people, they wouldn't even think about the relief. Jarman: The music doesn't have any association with the interpretations some writers put on it. What's the spirit of that to you when you see us painting our faces? A lot of people like to suggest this has to do with a militant attitude, when in fact it's a tribal attitude. The mask, in African culture, functions to alleviate human beings so the spiritual aspects of things can come through. When people check this out, they have a real warm feeling. Then this other person comes and tells them. "Well, it's about war paint, it's not a love feeling," and they get these contradictory vibrations. Litweiler: Do the musicians feel better about playing back home? Mitchell: We're still not getting our asking price. I mean, we might get one gig, but that means we turned down about six. So on the average, we're really not getting anything. We don't produce concerts ourselves any more, except with the AACM. We want money, and we're willing to negotiate. We want you to print: A fair amount of money for the Art Ensemble, you dig? Stop fooling yourself, get us some money. Favors: I mean, what did they have coming down to Bloomington, Ind., after us? Nitty Gritty Dirt Band — $3,000, or more than that, you know. Jarman: We got that award from DownBeat, and somebody told us we'd get a lot of gigs that way. We had to laugh about that. Bowie: We've just received a grant from the Missouri Arts Council to perform a series of concerts in Missouri, along with other groups from BAG (the St. Louis Black Artists Group). They come five concerts in a series, and we're attempting to be funded for about three more series. Illinois has something like that here, but this is a much bigger place, and you've got much more happening, more graft and things. The Art Ensemble is the outside element of BAG. BAG was formed by cats who grew up together, Oliver Lake, (drummer) Jerome-Harris Jr., (altoist) Julius Hemphill. We're kind of proud of that, because we've got our own building, all that business, and the bebop cats never achieved that; they have to play in taverns and what have you. BAG's inspiration was the AACM; they've achieved some things that the AACM hasn't achieved merely because it's a smaller place; it's easier to break through. Jarman: There's a magazine that the AACM is going to publish. This is just my opinion, you know — for what I see as part of my contribution to the Art Ensemble of Chicago is that we are becoming interested in speaking of the depths of the music, the conditions of our lives — I mean, we are hungry, poor, we need money to survive, all this, and people should know that instead of trying to politicize our work, instead of trying to construct moralistic or movement values off of what we're dealing, that it should be looked at from an internal perspective. Litweiler: Would something like a Ministry of Culture and the French Culture Houses work here? Mitchell: They have them, but it's not for black people. A lot of rich communities in America have the facilities for people in the community — you see them all the time. The thing about Lincoln Center [in Chicago] was that was in the black community. I remember Lincoln Center from back when I was going to high school. Litweiler: Do you feel that the center, if it were French, would have been government-supported? Mitchell: Oh, yes. But it wouldn't be like that, it would be a brand-new building. Don't think for a minute that the States are a slouch and don't have anything happening. I think they do a bit more in St. Louis than they do in Chicago. The Missouri Council of the Arts, yeah. The experience I've had with that is that the Council will start off doing like this here [raises his hand|. and then it goes right on downhill. But they do give them something. They paid for this building BAG has for a year or so. A lot of things are more available there that the musicians here have to seek for themselves. Jarman: The writers had a great deal to do with destroying the reality of the music when they started giving it labels and titles. A lot of musicians think that free jazz means you just ... OK, somebody gave me this instrument, but I'm a free-jazz player, see, so it's true and proper that this is the music [he strums a lute at random |. That kind of view is prevalent, there's lots of people who think that even in 1971. Exhausted from the wars of getting their music before the public, the Art Ensemble has settled down for the time being. Bowie and his family live in a suburb in St. Louis; the other four live in an 1892 townhouse, one of Chicago's first, with a basement full of trunks and equipment and a whole floor, the kitchen excepted, set up with musical instruments. In back sit two German Ford trucks, both out of commission; parts are unavailable here. In its homeland, the Art Ensemble, since April 1971, has presented concerts in Lenox, Mass. ; Bloomington. Ind. ; and Chicago. That's all. As individuals, the five have performed throughout the summer and fall with the BAG band in St. Louis (including a television show) and the AACM big band in Chicago. The situation is sorrowful. Judging from recordings, the early potential of a Jarman-Mitchell-Bowie-Favors union has recurringly been fulfilled. People in Sorrow (Nessa 3), their 1969 French prize-winning work, and Les Stances a Sophie (Nessa 4), a French film soundtrack, are now available in the U.S.; certain specialty stores import the somewhat excellent BYG recordings; one American LP, Phase One, has been issued in France. It is redundant to point out that these men are among the small handful of seminal musicians to appear in the post-Ornette Coleman era of jazz. Their music, based on full use of as much sonoric variation as possible within essentially melodic and usually complex structures, still seems the way of the future. The Art Ensemble is an entity of five diverse minds directed toward realizing, in instrumental interplay, the only true ensemble music in many years, and perhaps the most challenging ensemble music in all of jazz.